Speeding or illegal lane changes are common misdemeanors which warrant a traffic ticket in Mississauga and Brampton. When getting a traffic ticket the number one thing that should be on your mind is what would be more profitable for me, paying the fine or challenging it in court. The factors you can use to determine this is which one would cost you more and whether you are really at fault or not. If you do choose to fight your traffic ticket in a court in Brampton or Mississauga, these steps could help you find the right way to do it. Step 1: Do not admit guilt. 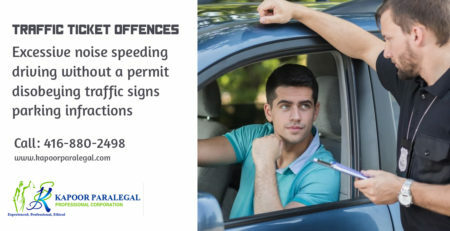 If you are planning on fighting your traffic ticket in a court in Brampton or Mississauga, you should make sure that you in no way admit guilt to the officer of Brampton or Mississauga who is charging you with the traffic ticket. Admitting guilt to them automatically makes you liable to pay the traffic ticket. The case would be very easily ruled in the officer’s favor in a court in Brampton or Mississauga if you accept to having done the misdemeanor you were accused of! Step 2: Try to talk to the officer. The next thing you should do is try to talk to the officer of Brampton or Mississauga who has charged you with the traffic ticket. If your reason to perform the act which you were accused of is valid and reasonable the officer may be ready to let you off the hook. Brampton and Mississauga officers have the power of removing the traffic ticket. Hence, they are very crucial to the process. While talking to them remember to be polite and reasonable. If you are not able to convince the officer of Brampton or Mississauga to let you off the hook for your traffic ticket, then you should start gathering evidence. You can ask to see the device with which the officer has determined your misdemeanor or under what circumstances they have done so. Try to take as many pictures as you can of the place of view of the officer as well as yours. It could help you to present your case better. Step 4: Get help from a paralegal. 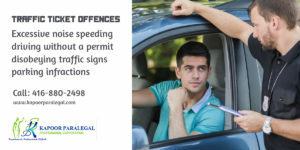 Paralegals in Brampton and Mississauga can help you tackle the case of your traffic ticket with ease. They have the same knowledge that lawyers possess and can provide you with services at a lower cost. They can help you put the documentation required by the courts of Brampton or Mississauga in order and file for the same. They can help you strengthen your defense as well and help you push the case in your favor. These kinds of infractions have high chances of being pardoned if you are a first time offender or it is a very minor one. 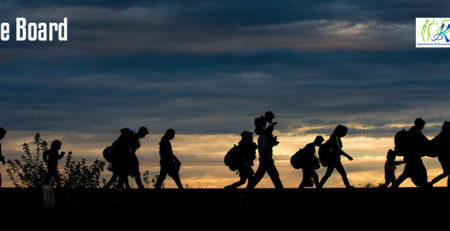 Insurance premiums could increase depending on the severity. You can research on the costs involved and determine which path would be right for you and your finances. How Does the Process at a Small Claims Court in Canada Go About? What If Your Claim is Above the Small Claims Court Limit? How Much Can a Traffic Ticket Eventually Cost You?